POLICE RECORDS: 2020 Valleydale Road HOURS OF OPERATION: Monday-Friday 7:30 AM-5:00 PM. When facing the front of the Public Safety Center, Police Records will be located inside the left entrance of the complex. If additional information concerning police records is needed, please call (205) 444-7739. POLICE RECORDS: 2020 Valleydale Road HOURS OF OPERATION: Monday-Friday 7:30 AM-5:00 PM. When facing the front of the Public Safety Center, Police Records will be located inside the left entrance of the complex. 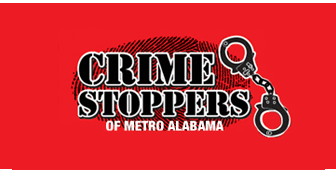 If additional information concerning police records is needed, please call (205) 444-7739. 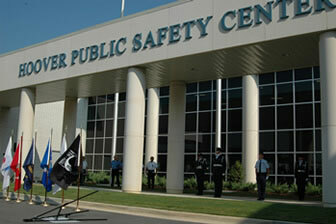 The Hoover Public Safety Center is located at 2020 Valleydale Road. In addition to housing the Hoover City Jail, Police Records, Police Communications and the Hoover Municipal Court, the PSC is quickly becoming a home to numerous public safety related operations. In 2006, the Alabama Department of Forensic Sciences opened a new facility in the PSC to replace the department's offices that were previously located on the campus of UAB. In 2007, the United States Secret Service, in conjunction with the State of Alabama, opened a technical center designed to train law enforcement personnel in the art of computer forensics. Moreover, the PSC houses Hoover's new 911 operations center that features a "state of the art" communications facility providing dispatch and call taking services for the Hoover Police Department and the Hoover Fire Department. Directions: From I65, take exit 247 to Valleydale Road. Travel west on Valleydale Road and the Hoover Public Safety Center will be on the right just before Montgomery Highway.